Did you know that most bleach spot can be repaired? Troublesome bleach spots are not only unsightly and annoying, but they can also be particularly embarrassing when you have guests in your home. For a rental property owner, bleach spots can negatively impact the ability to rent the home or commercial property. 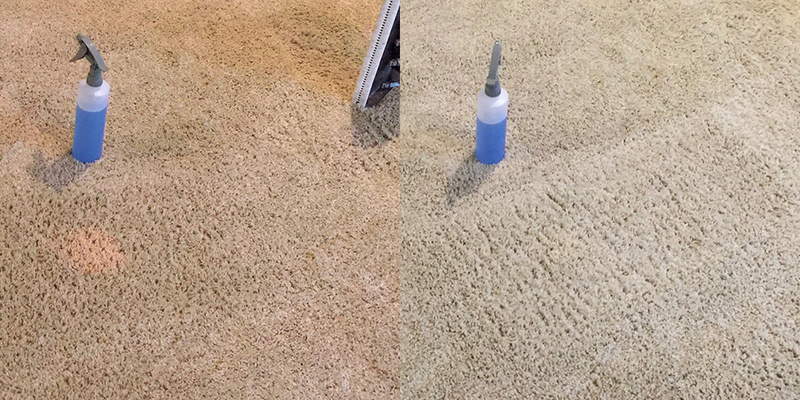 Bleach spot repair is more challenging to correct than a regular spot on the carpet because it is not a substance that can be removed. Rather, it requires replacing something that is missing. When a bleaching agent, such as Clorox bleach, acne medication, or toilet bowl cleaner, is spilled on a carpet, it will remove one or more of the three primary colors: red, yellow, or blue. In order to repair the bleach spot, the color(s) that have been removed need to be replaced. Doing the repair correctly requires an understanding of color blending as well as a keen eye. This is a skill that requires time and experience to develop. We have many years of experience in developing our color repair skills. You can confidently call on us to correct those unsightly bleach spot to help make you carpet look its best.